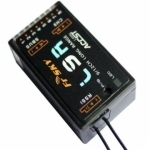 FrSky’s L9R receiver features 12 available channels (9 via normal PWM outputs and all 12 channels on the dedicated Sbus output). 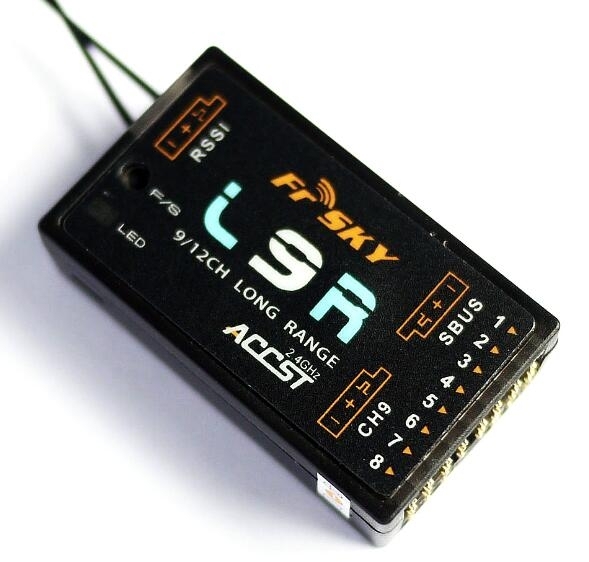 What really makes this FrSky receiver stand out from the rest is the long range capabilities. How long? Testing shows it is reliably twice the range of FrSky’s telemetry receivers, some claim more. And their telemetry receivers are well known for their range. How did FrSky do this? They did more than just rub some of the magical FrSky dust on it. They have been working on this receiver for a long time, and advanced filter makes this receiver work with a bone stock FrSky Taranis or FrSky XJT module. Yep, you heard it, nothing special is needed to double your range! L9R receiver is not work with FrSky V8, D8, and D16 Mode.